There are currently 8 people viewing this product. 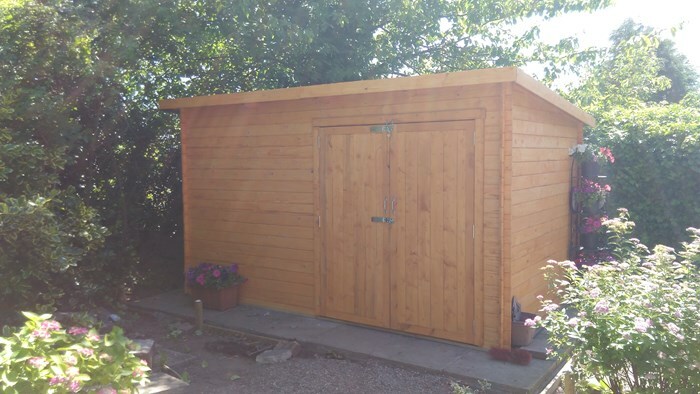 The BillyOh Pent Heavy Duty Shed Range is a pent-style log cabin made with interlocking log cabin boards. This gives the building superior strength over any panel building. The heavy-duty garden storage is an ideal storage for a great deal of garden equipment such as lawnmowers, wheelie bins, spades and other digging tools, wheelbarrows, and composters. The garden storage comes in 2 cladding options—19mm and 28mm—and you can have it in a variety of sizes. So no matter the space, there’s always a BillyOh bike store for you. The building has been designed with secure storage in mind, with a good amount of headroom to use as a workspace if needed. With its premium quality and pent styling, this building is ideal for keeping your items in their best condition. We understand your need for a storage solution that is practical and above all else secure. 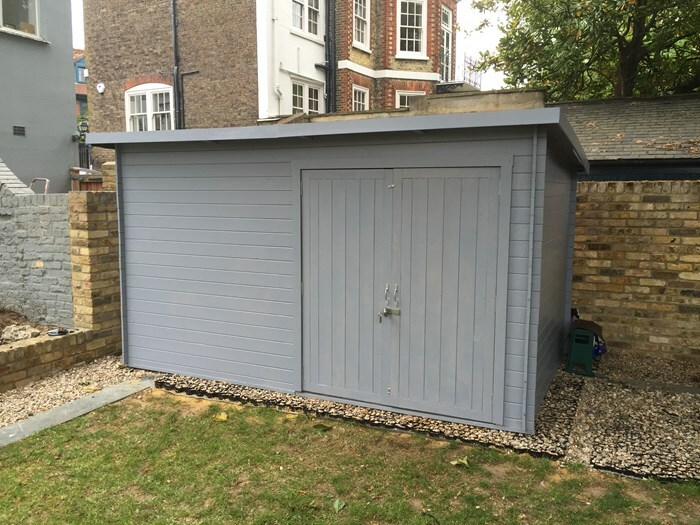 The BillyOh Pent Heavy Duty Shed Range features a windowless construction which means that you can store away expensive tools and equipment out of sight and properly-shielded from different elements. 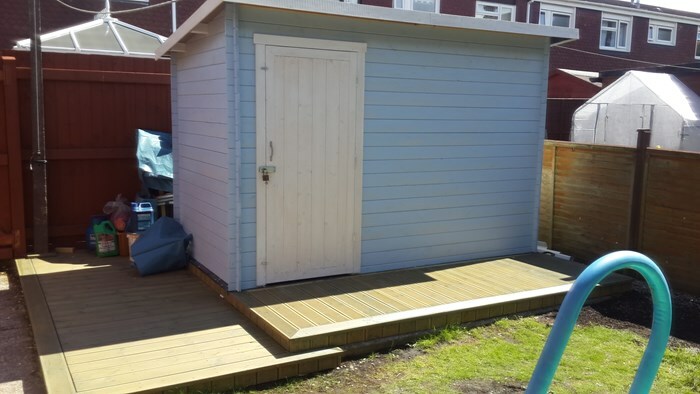 The BillyOh Pent Heavy Duty Shed Range is constructed using interlocking Tongue and Groove boards to ensure structural strength. This make it ideal for storing your more expensive items out of sight and well protected from the elements. To make it easier for you, the height of the building is under 2.5m and so you won’t have to apply for planning permission. However, before purchasing a cabin with us we do recommend that you get in touch with your local council for more information on building restrictions and regulations in your borough. With the buildings contemporary style Pent roof and tongue and groove cladding, it makes an attractive and modern looking addition to any garden. The building also gives you good access to your items with its high internal Eaves and Ridge Height, making it a great useable space and not just designed for storage. 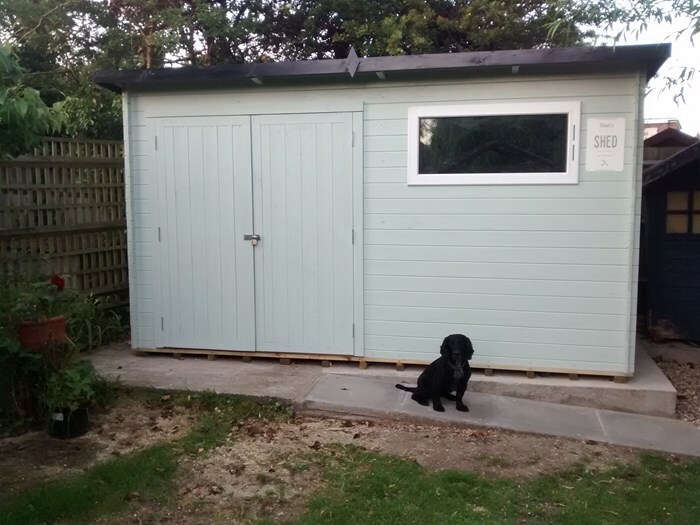 The BillyOh Pent Heavy Duty Shed Range is constructed from Interlocking Tongue and Groove Boards, offering you superior strength and quality. With the interlocking wall boards, external damaging elements are locked out, keeping your items in the best possible condition. For optimal protection, we do recommend treating the building annually to maintain the quality of the wall boards and ensure the building retains its weather protection. Width 238.5cm 7'10" 238.5cm 7'10" 326.4cm 10'9" 326.4cm 10'9" 385cm 12'8" 326.4cm 10'9" 385cm 12'8" 385cm 12'8" 326.4cm 10'9" 443.6cm 14'7" 385cm 12'8" 443.6cm 14'7"
Depth 190.2cm 6'3" 190.2cm 6'3" 190.2cm 6'3" 246.3cm 8'1" 190.2cm 6'3" 190.2cm 6'3" 246.3cm 8'1" 190.2cm 6'3" 246.3cm 8'1" 246.3cm 8'1" 246.3cm 8'1" 246.3cm 8'1"
Eaves Height (Inc Floor) 173.9cm 5'8" 173.9cm 5'8" 173.9cm 5'8" 174.3cm 5'9" 173.9cm 5'8" 173.9cm 5'8" 178.2cm 5'10" 173.9cm 5'8" 174.3cm 5'9" 174.3cm 5'9" 174.3cm 5'9" 174.3cm 5'9"
Ridge Height (Inc Floor) 209.3cm 6'10" 209.3cm 6'10" 209.3cm 6'10" 208.2cm 6'10" 209.3cm 6'10" 209.3cm 6'10" 208.2cm 6'10" 209.3cm 6'10" 208.2cm 6'10" 208.2cm 6'10" 208.2cm 6'10" 208.1cm 6'10"
Door Opening Size (w x h) 149cm x 173cm 4'11" x 5'8" 149cm x 173cm 4'11" x 5'8" 149cm x 173cm 4'11" x 5'8" 149cm x 173cm 4'11" x 5'8" 149cm x 173cm 4'11" x 5'8" 149cm x 173cm 4'11" x 5'8" 149cm x 173cm 4'11" x 5'8" 149cm x 173cm 4'11" x 5'8" 147cm x 173cm 4'10" x 5'8" 149cm x 173cm 4'11" x 5'8" 149cm x 173cm 4'11" x 5'8" 149cm x 173cm 4'11" x 5'8"
Width (Internal) 205.4cm 6'9" 205.4cm 6'9" 293.3cm 9'7" 293.3cm 9'7" 351.9cm 11'7" 293.3cm 9'7" 351.9cm 11'7" 351.9cm 11'7" 293.3cm 9'7" 410.5cm 13'6" 351.9cm 11'7" 410.5cm 13'6"
Depth (Internal) 152.3cm 5' 152.3cm 5' 152.3cm 5' 210.9cm 6'11" 152.3cm 5' 152.3cm 5' 210.9cm 6'11" 152.3cm 5' 210.9cm 6'11" 210.9cm 6'11" 210.9cm 6'11" 210.9cm 6'11"